Social Media in Marketing | The dos and don'ts of social media. I recently had the opportunity to attend the 2011 Momentum Awards Dinner, organized by the Chicagoland Entrepreneurial Center (CEC) and held at the Hilton Chicago, where about 950 attendees contributed to raising $100,000 to help the CEC reach their total goal of more than a $1 million raised. And it worked. People texted, people gave, their messages popped up on the screen, people clapped, other people contributed, bigger and bigger donations started rolling in to top the previous ones, people cheered. Text messages were heartfelt and some were funny. Most pledges ranged from $50 to $5,000, plus some bigger donations and matches. The crowd was charged, sitting at the edge of their seats, looking up at the screen every time a new pledge popped up, and the crowning achievement came at the end of course, when the final tally was revealed. You could say that the strategy here was the use of “mobile” media and not so much traditional “social” media, but I would argue that the “social” aspect comes into play because the CEC engaged their audience and encouraged them to take action by donating. Engagement and a call to action are the cornerstones of any good social media plan. A little background on the CEC: The CEC identifies promising entrepreneurs and helps them build high-growth, sustainable businesses that serve as platforms for economic development and civic leadership for the Chicagoland area. Since 2003, the CEC has helped entrepreneurs secure $268.5 million in revenue, raised $160 million in financing, and created or retained 6,350 jobs. The CEC is funded through private entities, corporations, budding and successful entrepreneurs, established businesses and academia. Takeaway: Nonprofit organizations, such as the CEC, that depend on contributions to run their programs should integrate mobile device technology into their marketing strategy to increase donations and aid in their fundraising efforts. Social media not only connects people with each other, but also with just about everything they buy, watch and consume. Nielsen’s new social media report looks at trends and consumption patterns across social media platforms in the U.S. and explores the rising influence of social media on consumer behavior. 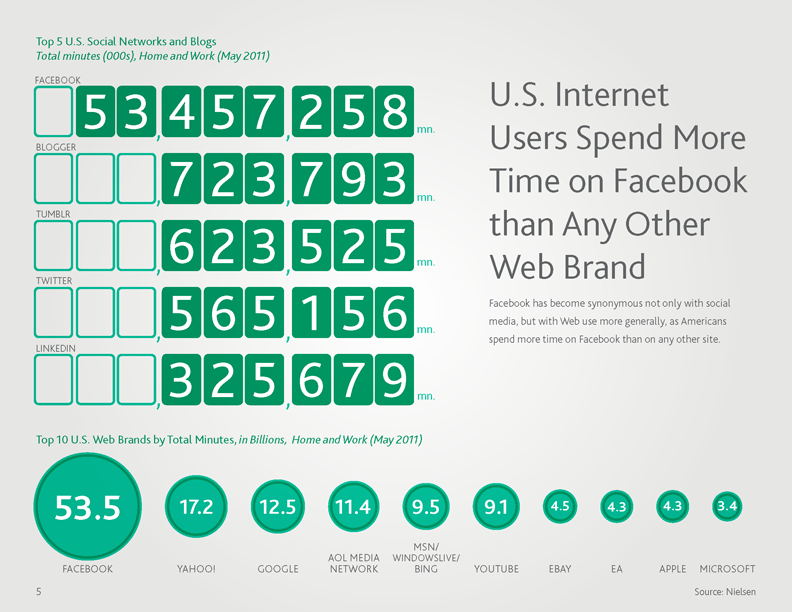 Surprisingly, or perhaps not surprisingly, their biggest finding is that Americans spent over 53 billion minutes on Facebook during May 2011, making it the most visited site on the internet. As marketers, now that we know that Americans are on Facebook for extended minutes each day, how do we engage them? Fan count (liking a page) alone is not a good metric for engagement. Community engagement (likes and comments) on average sits around 3 percent, according to Moontoast. To increase interaction with the fan, companies and organizations should utilize different types of content to drive conversations that deepen the relationship with the community and drive “potential fans” to “superfans.” According to Moontoast, there are five types of fans at different levels of engagement: potential fan, engaged fan, advocate fan, purchasing fan–and last but not least, superfan. In order to attract a potential fan, you must have reach (active fans, high count of shares, likes and comments that help word of mouth advertising). Once a potential fan has chosen to “like” your brand, you must interact with them to take them from potential fan –> engaged fan. After engagement, it becomes critical to drive impressions into sales (ROI) and turn the engaged fan –> purchasing fan. A purchasing fan then becomes –> advocate fan or super fan by referring and promoting your brand to their network of friends and family. The following graphic by Moontoast shows the anatomy of a Facebook fan (click on graphic for full-size image). • Surveys – Ask your community questions to get feedback – do you like this or this? • Photos – Share photos of live events, behind the scenes at the office, photos that prompt comments (what do you think of this?) and photos of new products. Ask questions in the title or description of the photo and participate in the comment thread. • Videos – Use a similar strategy to photos or take a queue from the Old Spice guy and make custom videos for specific users in your community based on a question they ask. • Comments – Comments are what started social. Jump in to your community’s posts and comment on them. Conversations take the relationship to a deeper level. • Free Downloads – Offer communities something for free. Free is the first step toward commerce. Some of the best campaigns have been free offers that let people discover something new from their friends. Friend-to-friend marketing is the essence of social media. • Commerce – Fans want discounts and they want to receive notices of the next sale. Learn from the wave of discount retail sites and implement similar strategies to your Facebook page. Introducing commerce as part of your overall social media strategy is a great way to reward fans and create buzz about your Facebook page. Commerce comes into play when you empower your Facebook page to reward those fans with great offers. That could be deep discounts, items only sold to Facebook fans, limited edition or autographed items, etc. Teach a community to show up every Tuesday at 10 am for a deal, and you will reach an entirely new level because suddenly it will be worth it to them. 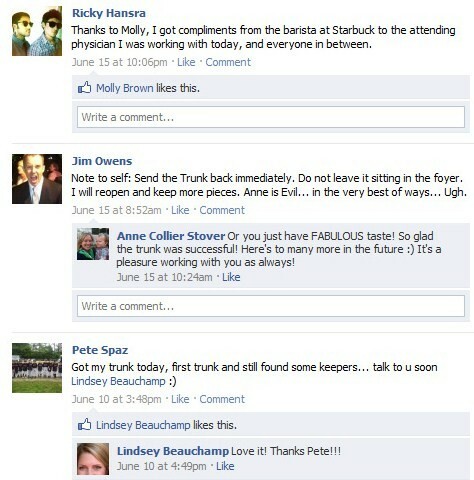 Commerce is a great way for a Facebook fan to get a payoff. If you treat customers well, word will spread. People rarely wonder about what they can do to promote or support a brand or product, but they do dream of ways to help their favorite cause. Whether it’s ending poverty, saving the environment or supporting a local charity, many people are more likely to share something they are passionate about. It comes as no surprise that non-profits and charities, more so than major corporations, have made a push into the world of online social media–and reaped its benefits. The University of Massachusetts Dartmouth Center for Marketing Research recently completed its fourth study on the usage of social media by US charities. While in 2009, ninety-seven percent of charitable organizations were using some form of social media, the latest study found that ALL of the top charities in the US are now using at least one form of social media. Their strategy appears to be one of promoting their cause through blogs, video and social networking sites. So how do you get people to support your cause, regardless of whether you are for- or non-profit? CREE created the “Lighting the LED Revolution” campaign that aims to “make energy-wasting, traditional lighting technologies obsolete through the use of energy-efficient, environmentally friendly LED Lighting.” While not a cause in the humanitarian sense, this does educate people and get them excited about being a part of something bigger than a brand or product. In this video, TreeHugger founder Graham Hill explains the mission of one of his campaigns “Life Edited” as “less is more” and promotes a contest designed to bring awareness to the campaign. Rather than leap into every form of social media, for- and non-profit organizations should think about what best fits their needs. They should identify their target audience and choose the channels, messages and types of activities that work best for those audiences. Another social media tool used effectively by non-profit organizations is Twitter. The hashtag #charitytuesday allows anyone (on Tuesdays) to give thanks or raise awareness for charities they care about. By using this strategy, non-profits can get their name in front of people who already support other causes and may be interested in finding out about new ones. Do you want your supporters to bring in new volunteers, raise general awareness of your charity and its work, or is there a specific call to action that you want your supporters to perform? For each goal, you should think about how best to motivate your supporters to to take action. The key to using social media effectively in the real estate industry is not to simply create a presence online, but to participate. 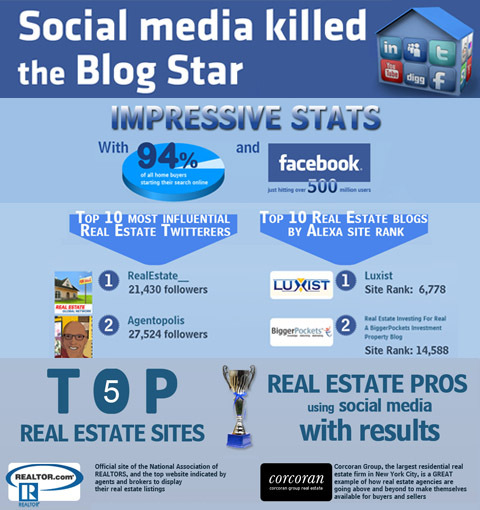 According to Postling.com, 84% of real estate professionals are now using social media. The main benefit of social media is an increase in the quality of the referral traffic back to an agent or broker’s main website. Experts are not only seeing more traffic coming in, but visitors coming in from social media sites are staying longer and looking at more content—something that had been seen with search engines but not in such large numbers. The Corcoran Group, for example, created a Twitter account strictly for new listings, while their main Twitter account stays fresh with local and industry news. Because there are so many factors that must align to make a listing pertinent to a single customer, such as pricing, location and size, there is a high probability that most listings do not pertain to everyone. While an occasional listing may be appreciated by your social media community, many experts advocate engaging your audience with industry knowledge (education and statistics) and an expert perspective (commentary), rather than alienating users with useless information. There are many sites with specialized sections for real estate professionals to lend their expertise, such as Trulia Voices and Zillow Advice. A typical question on either site will yield quite a few answers from agents or brokers specializing in a specific geographic region or area of real estate. This type of interaction with potential customers is a great way to build a credible reputation and name recognition for future consideration. YouTube also presents a valid platform for sharing real estate tips. For example, Keller Williams Realty International maintains a YouTube channel full of videos on monthly real estate reports, real estate advice and current company events. They boast more than 970,000 video views, 294,000 channel views and more than 4,500 subscribers. Similarly, the Corcoran Group uses their YouTube channel to feature CEO Pam Liebman answering questions posed by Facebook and Twitter followers regarding the state of the housing market and New York living tips. In order to use social media effectively as a real estate professional, you must find ways to showcase your expertise and local knowledge. As you provide useful, relevant information to others, you will see an increase in interaction and as a result, an increase in business. When it comes to earning and maintaining brand loyalty, there’s no one right strategy–grocery stores have loyalty cards, airlines have frequent flyer miles, some online retailers offer free shipping, while others award exclusive member discounts. But marketers need to understand that loyalty is not just a program, it’s a long-term business goal. Loyalty programs should focus on two things–engagement and building lasting relationships with customers. With the help of social media, it is now easier for marketers to inspire brand loyalty because there are more touch points than ever before. You can build brand loyalty, even in a crowded marketplace, by following a few basic rules. Customer loyalty centers around the perceived value of your brand. Good marketing involves identifying the needs and wants of customers and offering products and services that satisfy these needs and wants. Consider Zipcar. Zipcar identified a customer segment living in densely populated areas who wanted the convenience of private transportation without the hassles and cost of owning a car. Zipcar now enjoys the support of more than 400,000 loyal users. Good user research is not just about finding out what customers want, but to develop empathy. Costco CEO Jim Sinegal walks the aisles every week to feel what their customers feel. Without that level of empathy, a lot of Costco’s innovations wouldn’t have come about–like their “14% rule” that limits the markup on every item in their store. It may not make sense to a shareholder, but to the shopper on the floor, it stands for value and fairness, which makes Costco shoppers some of North America’s most loyal customers. The snowboarding company Burton provides another great example of customer empathy. A designer walked in one day with a photo of a snowboarder’s calf, covered in bruises from a long day on the slopes. “Fix this!” he demanded, and the team immediately knew that this was a problem worth solving and began looking for a solution. Harris Interactive reports that even in a negative economy, customer experience is a high priority for consumers, with 60% often or always paying more for a better experience. A dissatisfied consumer will tell between 9 and 15 people about their experience and about 13% of dissatisfied customers tell more than 20 people, according to a Consumer Affairs report. On the other hand, happy customers who get their issue resolved tell about 4 to 6 people. With social networking sites like Facebook and Twitter, it is now faster and easier for people to share their experiences with their friends, so companies need to keep their customers happy and give them a good reason to talk about them. With more than 25 million members, Netflix believes that honesty and an apology go a long way in building customer loyalty. On August 31, 2009, they emailed a large number of their subscribers to apologize for a streaming outage that occurred the day before and offered everyone, even users who were not affected by the outage, a refund. As a result of actions like this, Netflix gets more than 70 percent of its new customers from referrals. Whether it be coupons, discounts, giveaways or other gifts, a reward is only good if it means something to the customer receiving it. Imagine getting socks for your birthday when you wanted something else–that’s not going to inspire any kind of loyalty. Today’s customers want loyalty programs to be “about me” — individual, relevant and meaningful. Personally relevant deals are the second most frequently chosen reason for spending more with a company, mentioned by 48% of people, according to new research by Ipsos Mori and The Logic Group. Data collection and usage is extremely important in building relevancy. Brands need to use the information they collect strategically to show customers they’re listening and give them what they’re asking for. Marketers now realize that although spend and number of transactions are important, the real goal of customer loyalty initiatives is to engage customers. Because with engagement comes loyalty, advocacy and trust. According to Gallup research, organizations that have optimized engagement have outperformed their competitors by 26% in gross margin and 85% in sales growth. Their customers buy more, spend more, return more often, and stay longer. Companies can use social media to provide useful and engaging content and give their fans a reason to visit their site regularly. One way to engage customers is to show that your company is human. For example, Lands’ End tells customers upfront that the people, not machines, who make their clothing sometimes make mistakes. It’s a proactive olive branch that if you buy from Lands’ End and receive something that is not up to their usual standards, they will take care of you. It humanizes the company and strengthens the connection between Lands’ End and their customers, thereby building a lasting loyalty. While traditional marketing and advertising lets you maintain control over your message, social media lets you bypass gatekeepers and interact directly with customers to collect immediate feedback and facilitate real-time interactions. This ability to bypass the “middle man” allows communicators to be more efficient, responsive and helpful. Some companies are testing this theory by putting their employees on the front lines. They are creating Facebook and Twitter accounts for their employees and training and empowering them to post content, interact directly with customers and build networks online. Talk with a Trunk Club expert via phone or email, or build your profile online. Receive your personalized trunk via FedEx along with a pre-paid return label. Try on your clothes. Keep what you like, send the rest back at no cost to you. On Trunk Club’s Facebook page, their sales associates interact directly with customers–it’s a fun and friendly way to promote their services and products and also to showcase feedback from happy customers. In addition to providing a direct communication link to your target audience, this type of employee-customer interaction via Facebook can lead to more website traffic, additional sales and increased brand recognition and loyalty. For more information on how Trunk Club works, see the following video.